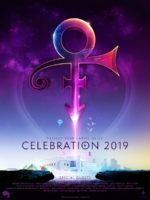 The original line-up of Prince’s Purple Rain backing group the Revolution announce two shows to take place at the legendary First Avenue, Minneapolis, on Friday 2 September and Saturday 3rd. 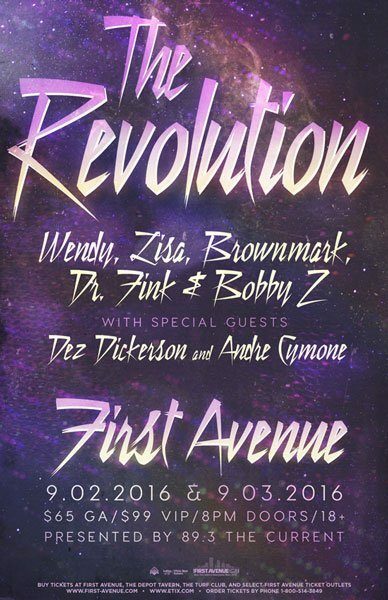 The shows ‘An evening with the Revolution’ put together in tribute to Prince will feature Wendy, Lisa, Brownmark, Dr. Fink and Bobby Z. Also in the line-up as special guests are pre-Revolution stalwarts Dez Dickerson and André Cymone. Tickets are $65 for general admission and $99 for VIP and go on sale from 11am (Central Time) on Friday 8 July from First Avenue’s website. Only by playing for you, the fans, can we be Prince’s Revolution … As we all start to heal and fill forever emptiness with sound. 2gether, we are The Revolution. 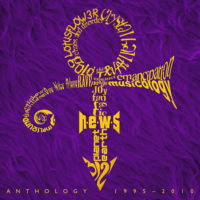 There has been mounting speculation over recent months that prior to his death Prince had been warming to the idea of reforming the Revolution. 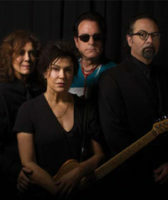 In the light of the Revolution’s announcement confirming their reunion for two special shows, fans took to Twitter to urge the band to take to the road and embark on a world tour. 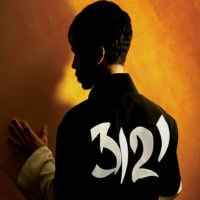 For latest information on the best Prince tribute shows and tours, visit our dedicated page with dates and more.